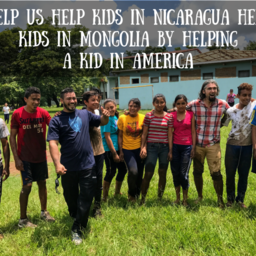 Help Kids in Nicaragua Help Kids in Mongolia! The students raised the money and you have already met our $3k matching goal! So we are upping the ante: If we get $6,000 then I will also let them shave my eyebrows! FYI- The ticker says $4,900 because we've already received $1,100 offline! My college yearbook did a one page story on my friends and I donating our hair to Locks of Love. I was quoted as saying, “I just hope my hair blesses someone else as much as it has blessed me.” I never said that, at least not the second part. Since that yearbook was released around 15 years ago, I’ve been able to donate a total of 50 inches to different hairities (Yeah, I think I just made that up. They’re like hair charities). I have a life goal of my height in hair donation. I’ve had some fun with it in the past, with videos like this one. But this year, I want to up my game and multiply the follicle fun. To me, donating my hair has always been about giving. It’s actually pretty easy. You don’t go to the barber for a few years, then boom, you can make a big difference in the life of someone going through a tough time. I want to use this round of hair donation to not only give but to teach giving. 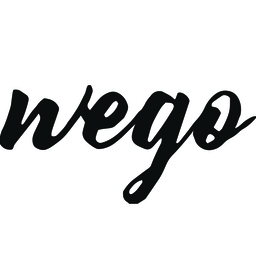 WEGO operates an incredible high school in a rural community just outside of Jinotepe, Nicaragua. Through New Hope School, our students get to receive a lot of incredible things at no cost to them: an education, school supplies, and most importantly, lunch. I praise God every day that our students get to receive so much but I also want our school to be a place where they get to know the immense joy of giving. WITH A DAY OF FUN! We would love to have a group of people like you match whatever our kids raise! Thirty of us pledging $100/each could combine with our students to raise an entire month of budget for our orphanage. It’s like a win-win-win-win. A kid in America struggling with hair loss gets some dignity. Kids in Nicaragua get to make a difference in Mongolia. And my wife gets to see my face again.